I've been obsessively searching for amazing items to potentially sell in my upcoming online design boutique. 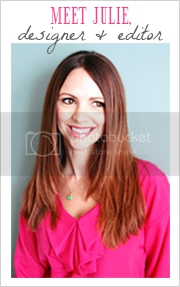 I rounded up some hot new items that are colorful, fresh, fun and perfect for summer. Which ones are your favorite? 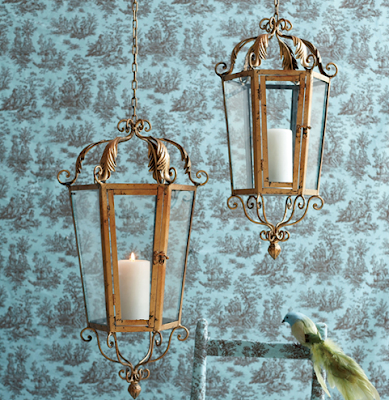 I love the different lanterns. They are adorable and very original! 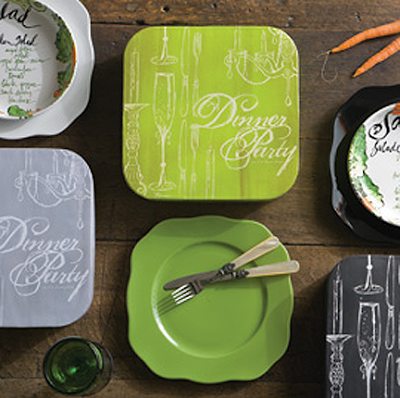 I love the verde dinner plates! I would buy them right now! wow, your on line store will tempt my pocket book often with that variety. 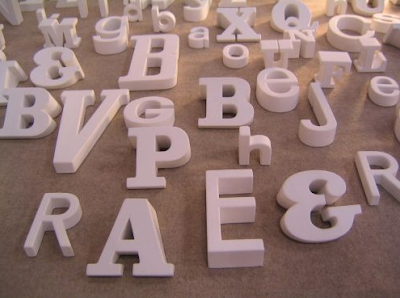 how fun are those resin and porcelain letters? the carved lotus wall accents are one of the more unusual items i've seen in a while. styles this year are so flowery, feminine and fun, that falls right into that category! great finds! 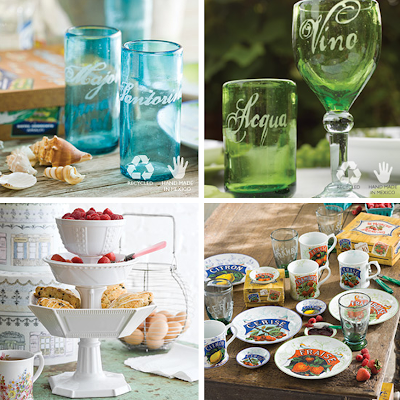 I love Rosanna's dinner party platters - and they would go very well with the recycled glass! 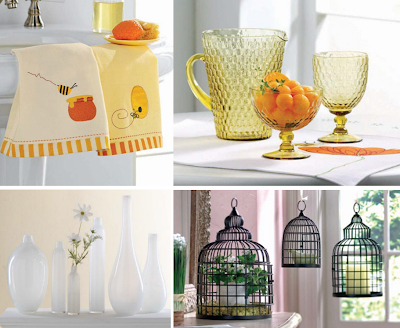 I love anything with honey bees....the lanterns are so fun & summery too! I don't think I could pick a favorite--but I do love all the ones with writing and print on them! you have some fantastic finds! 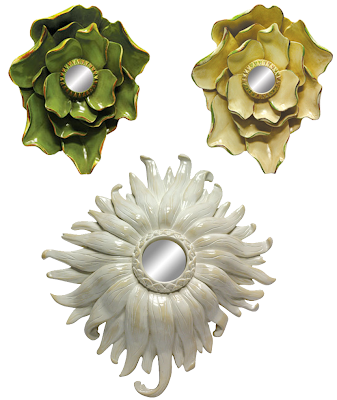 i am dying over the lotus things, and the gorgeous mirrors. love them! 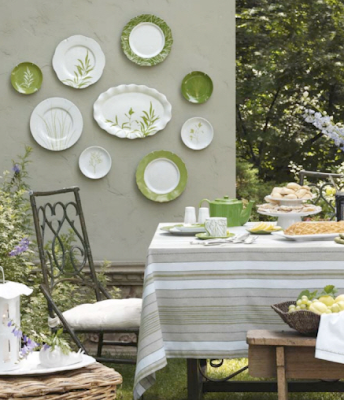 I love the plates on the wall - pretty unexpected place to find them - perhaps that's why they're so striking. I'm liking everything quite a bit, with the hanging lanterns being my least favorite. 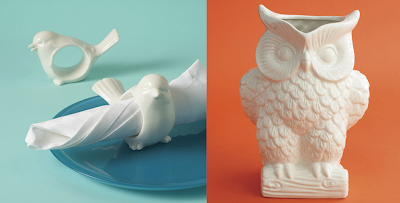 I really like the mirrors and the owl pitcher. Love all of them. 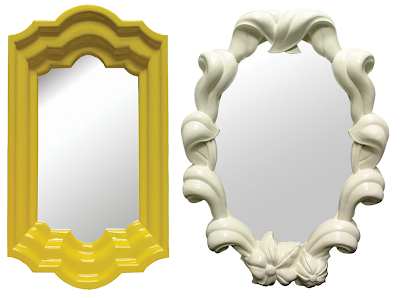 The Dover yellow mirror and Patisserie white serving bowls caught my eye. I would love those bowls stacked just like that. And I love the letters. I'm excited to see your shop!!! 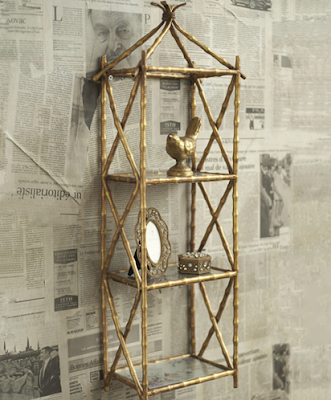 i am loving the bamboo shelving . I love the yellow flower mirror on the top right! I definitely see that in my bedroom! 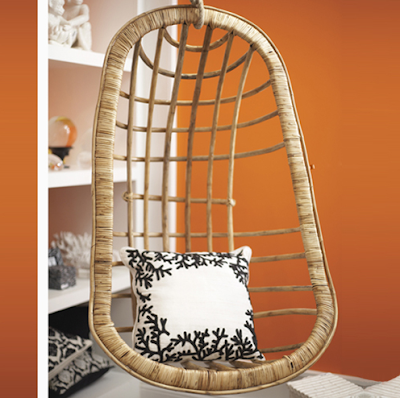 I love that swinging rattan chair. I saw it in a teenage girl's bedroom on a blog post and haven't stopped thinking about it since. I'll have to dig up the link!